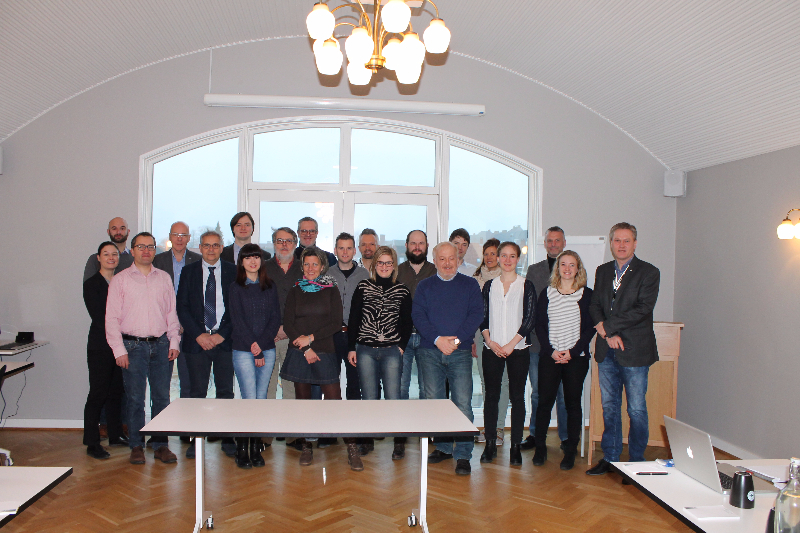 From 9-11 March 2016, the project ADAPT met in Nykøbing, Denmark for their third international workshop. 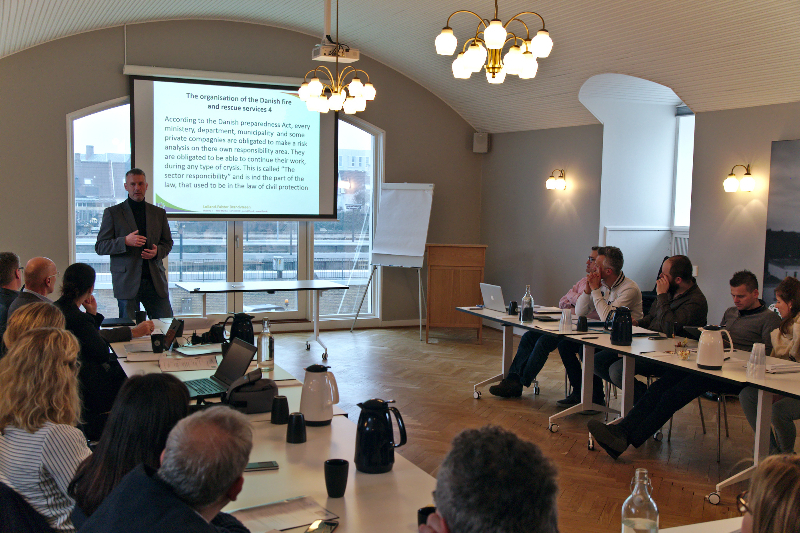 The project partners learned about the Danish civil protection system and made progress on the project’s two main tiers – the ADAPT data platform and the community-based management approach to use it on the local level. 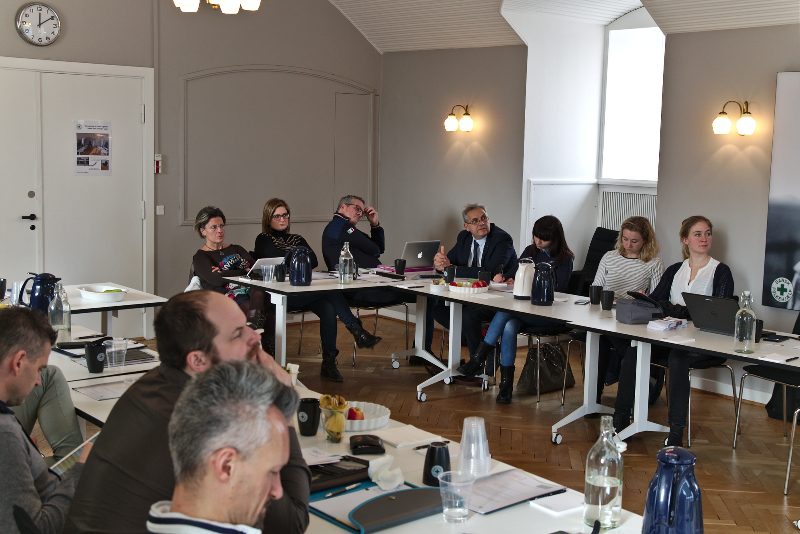 The meeting, hosted by Danish project partner DPA in their head offices, was a special case for the project group, as DPA play a different role in the project compared to the other operative partners. While Denmark also does not have a specialised data platform for information as ADAPT is putting it together, they have a system of ad-hoc coordination in which data exchange can take place. Since the Danish civil protection system is an almost exclusively state-led and state-conducted effort, direct involvement of the project in the system was not possible for the consortium of NGOs. Still, an exchange about challenges and approaches to solutions to best helping vulnerable people in case of mass evacuations is being conducted as part of the project. Mr. Peter Søe, Chief Fire Officer for the Lolland-Falster region of Denmark, introduced the international partners to the local system. They proceeded to discuss different challenges in evacuating vulnerable groups of people, how these challenges are solved in Denmark and how the approaches the partners have to take in their local communities differ. The project group also reviewed the first preview version of the ADAPT data platform, which was developed according to the specifications the group agreed upon at earlier meetings. Further development steps will be taken in the next months, with particular focus on integration with pre-existing local systems. Besides the data platform, the workshop was also used to set the groundwork for the community-based management approach, which will be the focus of the last international workshop in September. The partners have begun authoring the guideline document, which will help other organisations and communities to learn from the ADAPT project’s experience and transfer the results.